Protect your cat from infectious diseases by maintaining a yearly vaccination schedule. Vaccinations stimulate your cats system to develop immunity. Because they prevent disease but do not cure disease, the veterinarian must administer them before your cat is exposed and infected. Specific vaccination schedules vary according to several factors: the age and health of your cat, and conditions in your cat’s environment. We would be happy to help you plan a vaccination schedule so that your cats vaccinations are up to date. KITTENS should receive their first vaccinations between six and ten weeks of age. They also need to have additional vaccinations about three weeks after the first set. 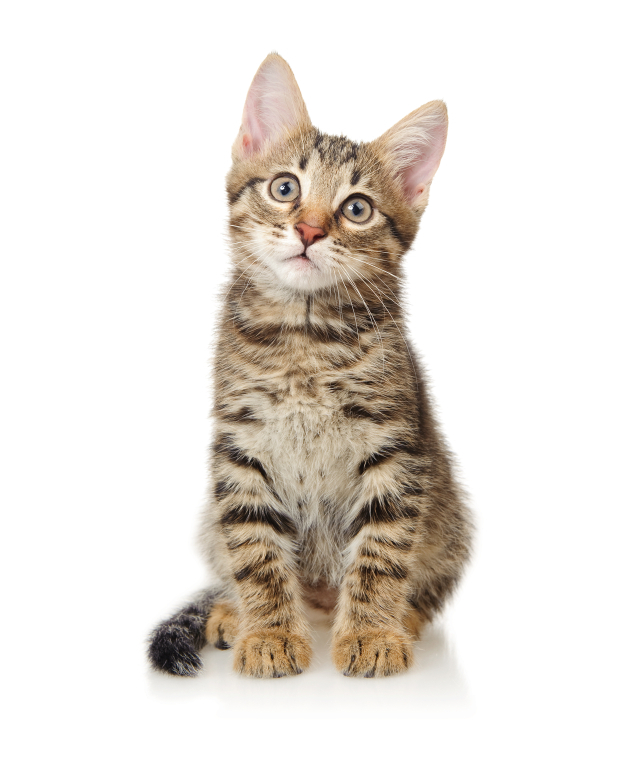 Kitten shots are not effective for life, so it is important to keep up with vaccinations throughout your cat’s life. ADULT CATS need to receive booster vaccinations every year. Some vaccinations are mixed so your cat does not have to receive separate shots for each disease. Examples of Such mixtures are FRCP which is a mixture to protect against Feline Panleukopenia (F). Rhinotracheitis (R), Calici Virus (C), and Pneumonitis (P). Calici Virus Infection can cause sneezing, fever, loss of appetite, inflammation around the eyes and ulcers in the mouth. Healthy adult cats usually recover from it. Kittens and older cats are at greater risk of serious complications. The infection is not transmissible to humans or dogs. Feline Infectious Peritonitis (FIP) is a viral infection that is progressive and fatal. It is a serious problem in many catteries and multi-cat households. FIP is not transmissible to humans or dogs. Feline Leukemia (FeLV) is caused by the Feline Leukemia virus. FeLV is one of the most common causes of illness and death in cats. It is a cancer-causing virus that can suppress the cat’s ability to light infections. Kittens can be born with the virus. Cats can have the Leukemia virus for years before showing symptoms. The doctor may recommend that your pet be tested for FeLV prior to receiving a FeLV vaccination. FeLV is not transmissible to humans or dogs. Panleukopenia. also called feline distemper, is a highly contagious, often fatal disease, especially dangerous to kittens. Symptoms include loss of appetite, vomiting, diarrhea, high fever, and depression. This disease is not transmissible to humans or dogs. Pneumonitis in cats is caused by Chlamydia psittaci. Symptoms are similar to those of calici virus infection and rhinotracheitis. Chlamydia infections can be spread from cats to humans. Rabies is caused by a virus that attacks the brain. It is prevalent in wildlife such as raccoons, skunks, foxes and bats. Rabies is readily transmissible to humans and pets by the bites of an infected animal. Rhinotracheitis is like the common cold in people, but it can cause serious problems for kittens and older cats. It causes sneezing, fever, loss of appetite, inflammation around the eyes and ulcers in the mouth. It is not transmissible to humans or dogs.